Autumn is one of my favourite seasons in Australia. There’s a slight chill in the air and beautiful heartwarming colours of orange, red and yellow everywhere. It is one of the most picturesque sites to see. This autumn was made even better with the birth of my second son Jai Alexander. I mean how time flies my older son is nearly two, I am a mother of two and life is just that little more chaotic but oh so beautiful. The merriment around the house tripled as my parents were visiting too. I can’t explain watching my parents with my children in words except that it filled my heart with so much love, warmth and gratitude. 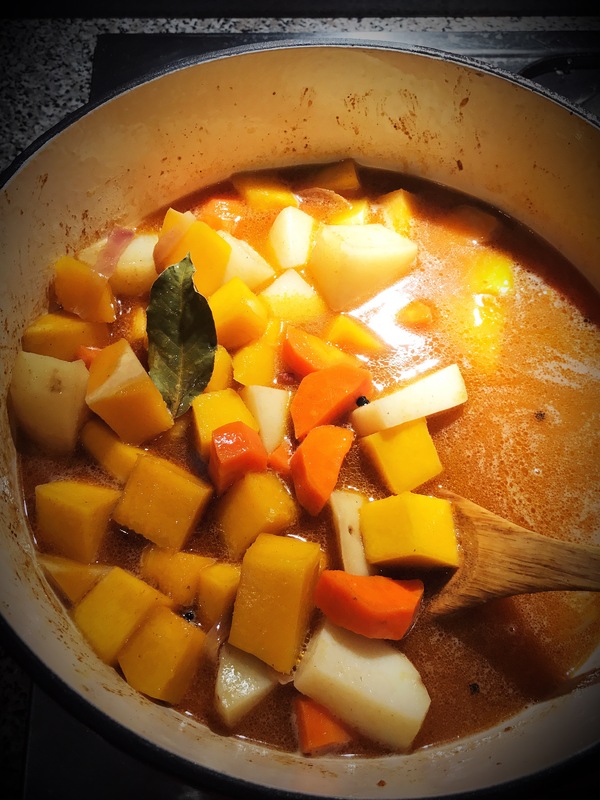 To celebrate our little bundle of joy and the last remaining days of autumn, I decided to cook with colours of autumn. I’m not a fan of pumpkin per say but I have to admit when combined with other warming flavours, it truly shines. 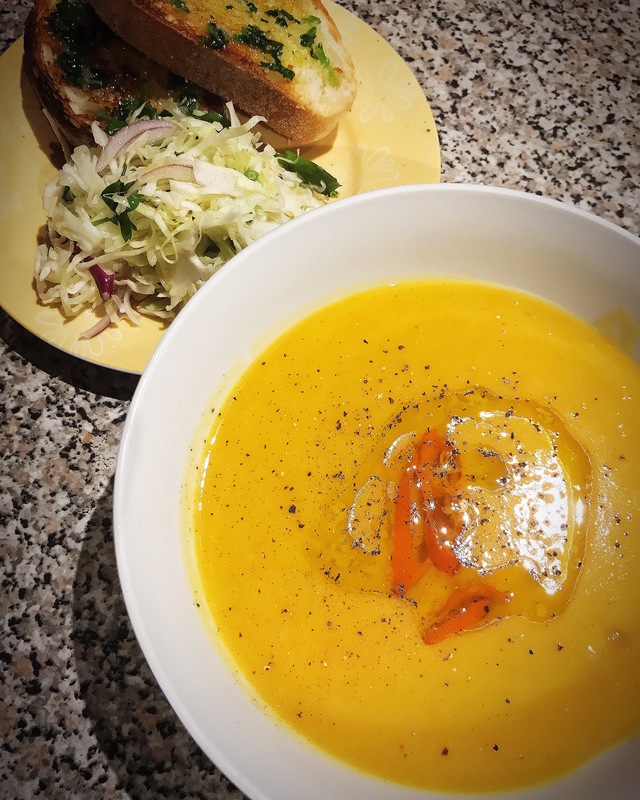 So I decided to make a pumpkin, potato and carrot soup with chilli, lemon and ginger oil. Heat olive oil in a heavy bottom saucepan. Add garlic, once aromatic add onion and cooking until lightly caramelised. Now add all the vegetables, followed by all the spices (except the stock cube). Mix well. Then add one litre of water, stock cube, season with salt and cover the pan with a lid. Let the soup simmer on a low heat until vegetables are cooked. 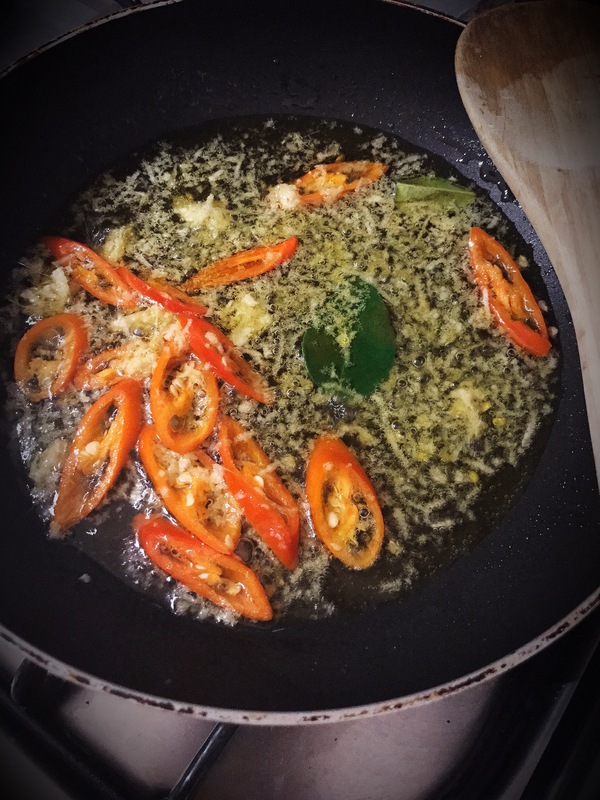 To make the flavoured oil, combine all the ingredients in a pan and let them simmer on a low heat for five to seven minutes or until aromatic. Using the stick blender, blend the soup until smooth. Season with salt as required, add more water if needed to reach desired consistency. Again let the soup simmer for another 10 to 12 minutes. Garnish with a generous drizzle of the chilli, lemon and ginger oil. Serve with a side of garlic bread and feel your heart and soul warm up with this autumnal goodness. Such a heart warming dish. Amazing!